Ridley’s Family Markets, a grocery stores chain that is headquartered in Jerome, Idaho is under family ownership. The store has been operational for close to thirty years. 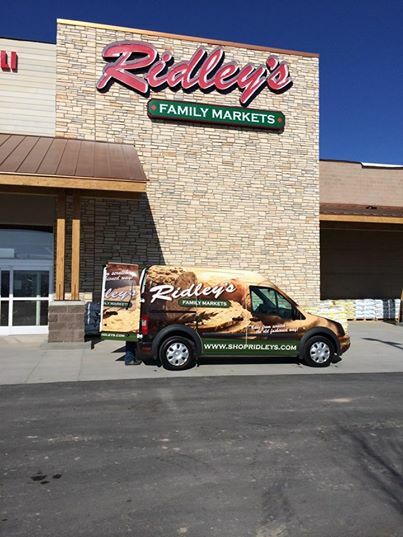 As of last year, Ridley’s had twenty supermarkets in northern Utah, Wyoming, Idaho, and Nevada. Ridley’s Family Markets began its operations in the year 1984 when an 11,000-square foot store was set up by Connie and Jerry Ridley. The first grocery store was located in Payson, Utah. Initially, the company was known as Ridley’s IGA Foodliner, which was an IGA franchise. In 1986, the Payson store was sold, after which the couple formed a partnership to establish and run a store in Provo, Utah. The store was Food 4 Less. In 1988, Ridley’s change its ownership from family to a private company. Many grocery stores were acquired throughout the 1990s. They strive to become the local market and pharmacy and employ those who live in the area. They offer membership benefits and social media bargains. You can also find a list online of origin of the produce they carry, so customers know just where their fruit and vegetables are coming from. My name is Brenda Shaffer. I shop at your old town Pocatello Rideys location. I have been over charged here and there in the past (I have assumed these accations have been acedental). The last three times I have shopped at your grocery store I have been overcharged consistently. I find this not to be a every once in awhile probeblem. I feel your business practices are becoming frudulant. I am now saving my receipts with the intentions of complaining to the Better Business and placing them on public face book. Old Town community has a lot of elderly and disabled consumers who would not realize they have been scamed. I Do not feel the community in old town should be taken advantage of. Just got coffee & treats at the Winnemucca Dawson Taylor Coffee in Ridley’s Market. Eva and Crystal were so amazing! Professional, friendly, fun, and so complimentary about working for Dawson Taylor. Here’s my question: WHY CAN’T THEY RECEIVE TIPS?! They work so hard and they choose to also be so positive and happy on the job. Get them a tip jar please! I frequently dirve from California to Montana and go through a number of cities that have Ridley’s markets. I stop for groceries, snacks and coffee. It is common for me living in a Capitialistic country to want to tip people who provide a wonderful service. I was just in Winnemucca, NV getting fabulous service from the coffee shop employees at Ridley’s. I wanted to tip them, but they said they cannot accept tips. Wow! I couldn’t believe it. I don’t need to tell corporations about how to deincentivise their employees. Because I believe in giving something extra for good service, I might as well go to Starbuck’s in Winnemucca and wait to buy groceries at Raley’s down the road. Could you please allow your coffee shop servers to accept tips? Thank You! I would like to draw your attention to the Ridley’s Market in Rupert, Idaho. It is tired, rundown, and desperately in need of gender divided public restrooms with more than two stalls each. The current restroom is in the stockroom and during farming season, literally, bus loads of people stand in line in the stockroom and block the grocery isles to use it. This is more than just an inconvenience for the public, and can’t possibly be very secure for the inventory, or sanitary. Aside from the inconvenience, this restroom is doubtfully ADA compliant. The entrances to the parking lots are full of potholes that don’t seem to get attention, and the accessible parking spaces and access isles don’t seem to be ADA compliant either. There are a number of consulting firms and designers to assist you with this update to your facilities. In fact, you could contact the US Access Board and they will help you as well. It would sure beat a complaint filed with the Department of Justice. I would like to have the pharmacy representative contact our office regarding the Riddleys pharmacy in Casper WY. We are a recovery center in Casper and the pharmacy in Casper incorrectly filled a clients medication. Thank you. Just curious as to wether or not Ridleys intends to keep “Ranchers Reserve Meats” since the acquisition of our Safeway store here in Casper? The grocery situation in Casper is toxic, especially for the east side which has had an incredible amount of growth over the past 6 years. One must be forced do drive to other side of town to shop at a Smiths, a small pathetic attempt of a King Soopers store, or shop the Caustic Wal-Mart. Safeway has been far the worst, and one can only hope this will be a serious improvement, and not a poor attempt to make a go of it!